Need to hire a dj for your Wedding? Not sure how to hire a Wedding DJ in Santa Barbara? Scott Topper DJ Productions can help! Do you love to dance? We play all of your requested tunes and make sure the dance floor is always filled with your friends and family! 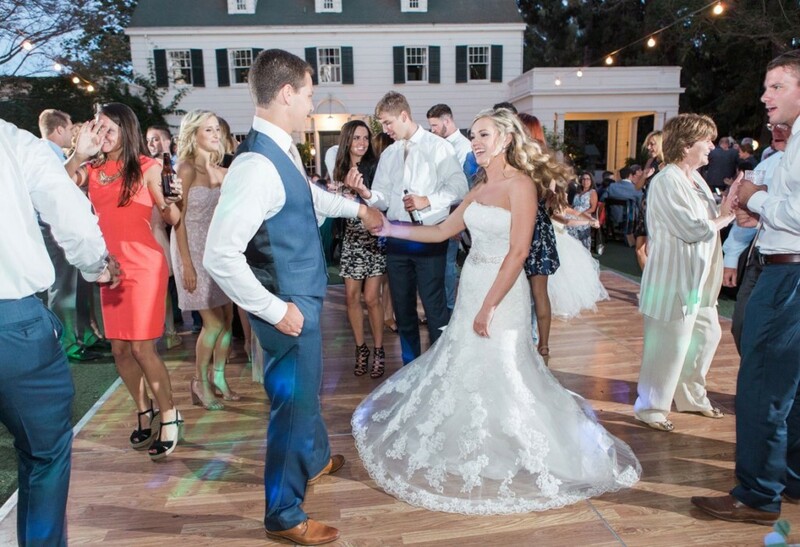 We have over a decade of Wedding DJ experience and provide personalized music planning and coordination. We offer Emcee-DJs, Ceremony DJ Systems, Cocktail DJ Systems, Dinner/Dancing DJ Systems, Action Photo Booth Rentals, Teak Dance Floor Rentals, Moving Dance Floor Lighting, and L.E.D. Uplighting. “Scott did a great job running the reception and moving things along. I didn’t have to worry about what was next or fitting everything in because he took care of all of the timing!